Dungeons & Dragons’ next major sourcebook is a grand Magic: The Gathering crossover. The full cover art for Guildmasters’ Guide to Ravnica. This isn’t the first time D&D and Magic have come together like this recently—rules for D&D players to adventure in the Planes of Innistrad and Zendikar have appeared in the past. But it’s the first time a crossover book of this scope will be released for Dungeons & Dragons, especially as an accompaniment to the upcoming Ravnica-themed Magic expansion. Could it mean there will be more Magic/D&D mashups like this in the future? We’ll have to wait and see. 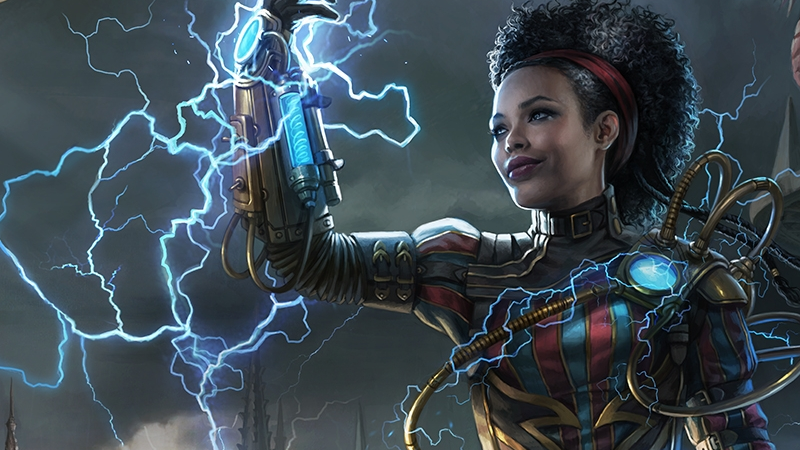 Guildmasters’ Guide to Ravnica is set to release on November 20, after the Guilds of Ravnica expansion for Magic launches October 5. The Worlds of Magic and D&D Collide!